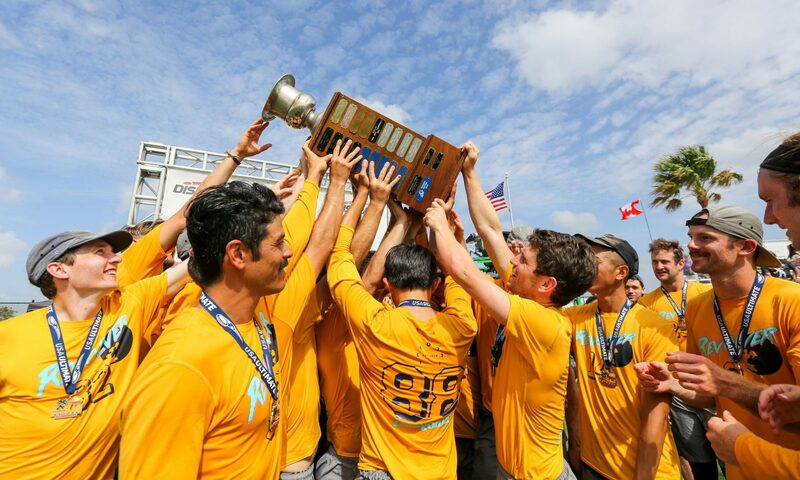 How I came to join Revolver: During my freshman year of college my ankle was badly sprained by [now teammate] Patrick Baylis at college Nationals. I had been approached by Mike Payne about being a practice player before that, but with my ankle injury I couldn’t justify making trips up to The City for practices, which is a bummer since Revolver took all of their practice players that year. In 2009 I somehow managed to make the team with a broken hand. “Nick Schlaggy Schlaaaaag…” to the tune of “Snoop Doggy Dooooooogg” – Changing the lyrics of multiple songs to rhyme with Schlag’s name at Nationals 2009. Baylis’ date story from Life Stories. Kanner running into a glass door because he was so excited about the Hi-Chews that Russ and I were bringing up the stairs. 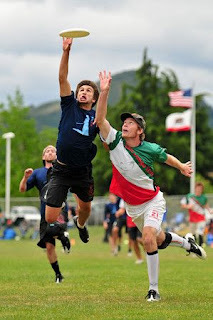 Favorite game or tournament moment on Revolver: Nationals 2010, double-peaking for the double championship. Southwest Regional Finals 2011 vs. SDSU, one of the most emotional games that I’ve ever played. Game vs. UCLA alumni at Kaimana in pre-quarters. Post game vs. Bag o Wine… Wine Line O. In high school I went to Jr. National tryouts and was definitely influenced watching Jeremy Norden throwing and Nate Castine playing defense. Joaq Nagle, who went to my high school but was four years older, was a role model for me whenever he would come up from Claremont to play against us. Once in college, Daryl Nounnan taught me pretty much everything that I needed to know to play at an elite level. Danny Karlinsky influenced the way I captained the Slugs my last two years and taught me a lot about leadership. Ex-Revolver teammate Nick Chapman tried hard to fix my running form. It has helped, but is still questionable. What makes ___ so dangerous? In terms of Ultimate: first step and change of direction. In terms of Life: hanging out with Russell, because everyone is more dangerous and in more danger in his vicinity. Pre-game ritual: Ignore everything but the warm-up, then stare blankly into space while pretending to stretch. What I like to eat on Saturday night of a tournament: Pasta and some meat. If I didn’t play Ultimate, my main pastime outside of work would be: A lot more basketball. If I could hang out with any famous person for a day, it would be: Shaq — I just want him to let me ride on his shoulders. In terms of Kanners, how tan are you? Over 9000.